Three companies create mantels for the historic home using the latest in sustainable methods. The focal point of a room, the mantelpiece is an important part of the overall interior aesthetic, creating elegance and beauty through its design, material and finish. Throughout history it has not only given a visual cue to the age and style of the home, but also to the wealth and social status of the homeowners. Some of the most decorative examples in America come from the early Georgian and Federal houses as well as the grand mansions of the Gilded Age – think of the massive Gothic mantelpiece made of Caen stone in the reception room at Newport’s Rosecliff (1902). Recently, there has been a resurgence in demand for such lavish detailing to frame the glowing embers. Up until 1790 the mantelpiece – or chimneypiece as it was more commonly referred to – reflected the Georgian styles of the day, “having a heavy architrave with ears or a similar mantel with an overmantel which might be flanked by pilasters and crowned by a broken pediment,” notes historian Fiske Kimball. The overmantel was an important part of the Georgian interior, becoming the frame for artwork, a mirror or displaying its own bas-relief. 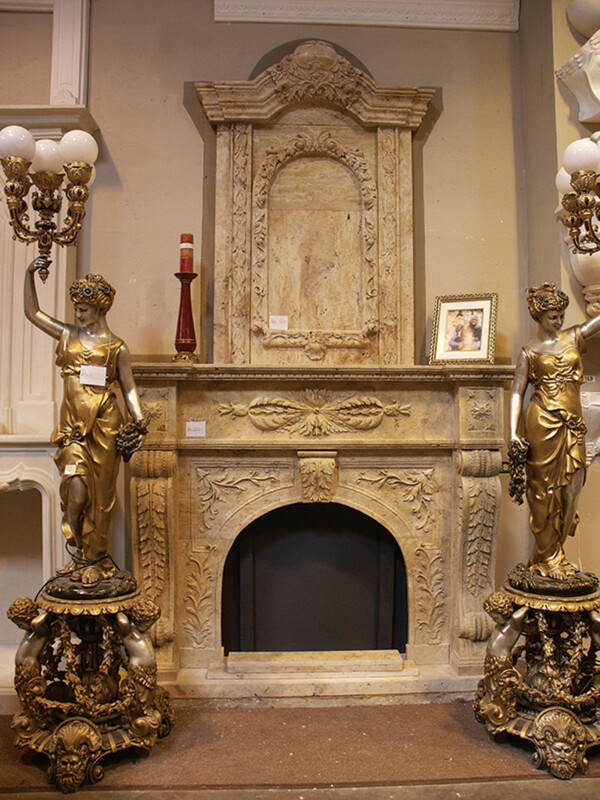 Mantels were typically made of wood or cast stone, called Coade stone. In the mid-1700s, wealthy Colonists imported carved marble mantels from Europe, incorporating them into grand homes. Interior decoration was much freer than the exterior of the Georgian house, and florid embellishments found their way into the design. Elaborate carvings of birds, flowers, laurels and shells would often adorn the mantel. 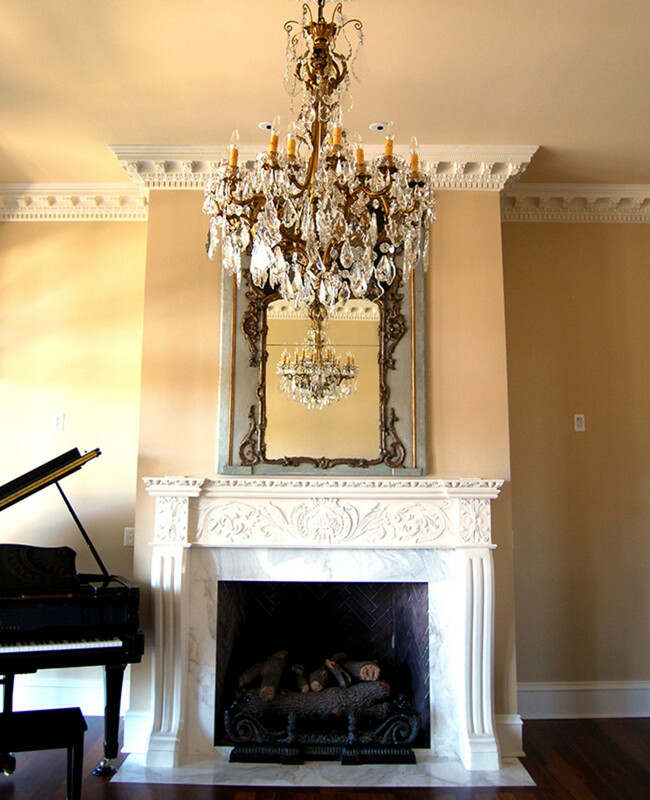 After the Revolutionary War, mantel styles changed from the ornate Georgian variety to a closer adherence to the Classical form. This Federal style transferred the emphasis from the architrave to the pilasters, which were often fluted. The scale is much more diminutive and refined in the Federal style than in the Georgian, with ornamentation consisting of swags, urns, eagles or elliptical and fanlike shapes. Modillions could be found supporting the mantelshelf. Wood was often used with applied ornamentation. Cast stone was also a popular choice. Unfortunately marble was an expensive import and fell out of fashion until the Victorian era. The most notable architects dictating the fashions during the period were Charles Bulfinch, Benjamin Latrobe, Samuel McIntire and Alexander Parris. Fast forward to the end of the 19th century and America’s prominent architects were conjuring up a host of historical eras to incorporate into the manses of the well-heeled socialites of the day. McKim, Mead & White mastered re-creating the grandeur of the past in its commissions, and Italian Baroque, French Rococo and English Gothic all found their way into imposing mantelpiece designs. 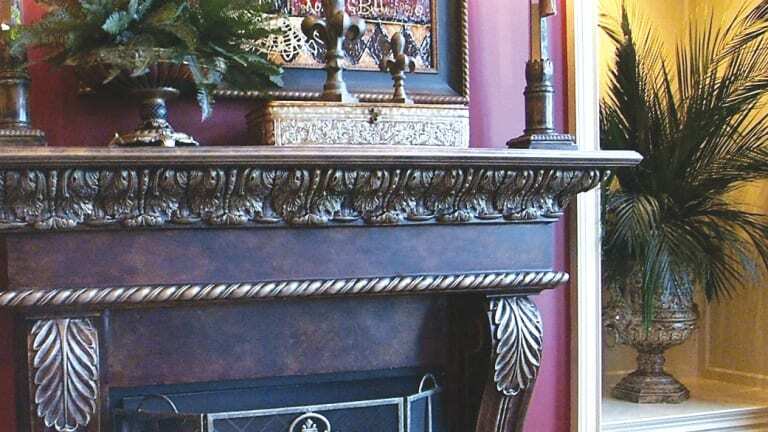 “We’re definitely seeing a resurgence of ornate mantels,” says Marge Scomazzon, owner of South El Monte, CA-based A&M Victorian Decorations. 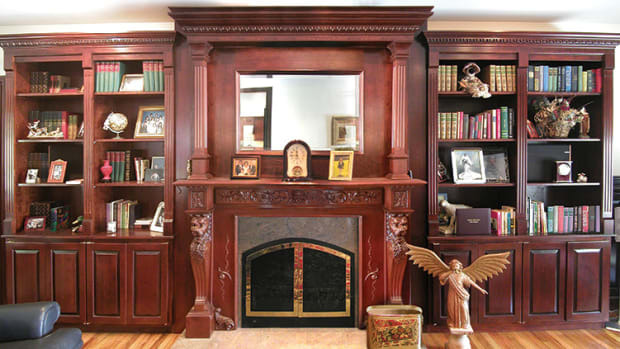 The company has been making mantels, moldings, medallions and columns in both plaster and cast stone since 1978. Marge’s husband, Aldo, learned the craft of plaster restoration in churches and civic buildings in both Germany and France. He brought his talents to California via Canada and has passed down his 60 years of experience to his apprentices. Today, the company casts over 50 designs that can be ordered in 15 standard colors. It also offers custom pieces as well. The cast stone is cement, fiberglass and aggregates. 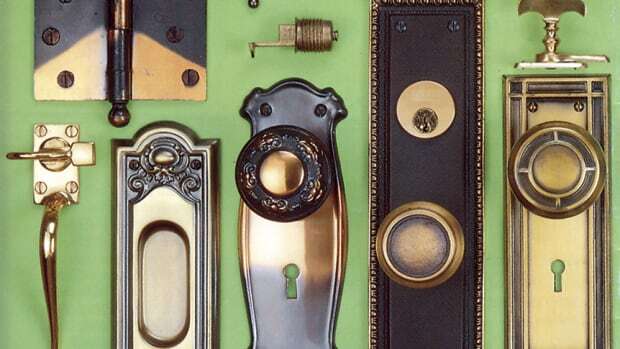 Plaster pieces are shipped unfinished but can take paint, stain or a faux finish. An on-staff architect can help builders and home-owners with specifications and renderings. “We see customers putting fireplaces in virtually every room in the house,” says Scomazzon. “We recently outfitted a master bathroom with a mantel and each bedroom received a cast-stone mantelpiece. One homeowner in Santa Monica requested a total of seven.” When asked about the increased demand, Scomazzon responds, “People love the coziness and ambiance of a fireplace.” Today, many fireplaces are gas burning for ease of use as well as to cut down on carbon emissions. 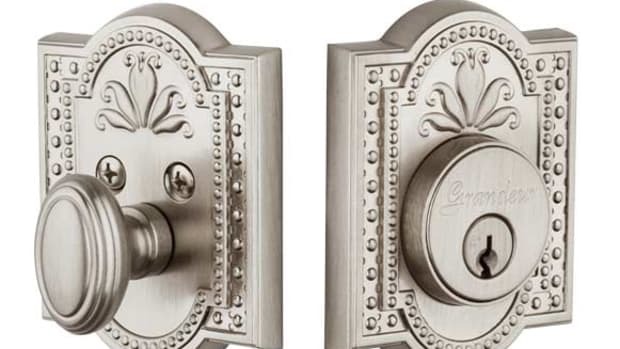 Although Scomazzon says the styles that customers are ordering vary greatly, some of the most popular are French Baroque and Classical Palladian. 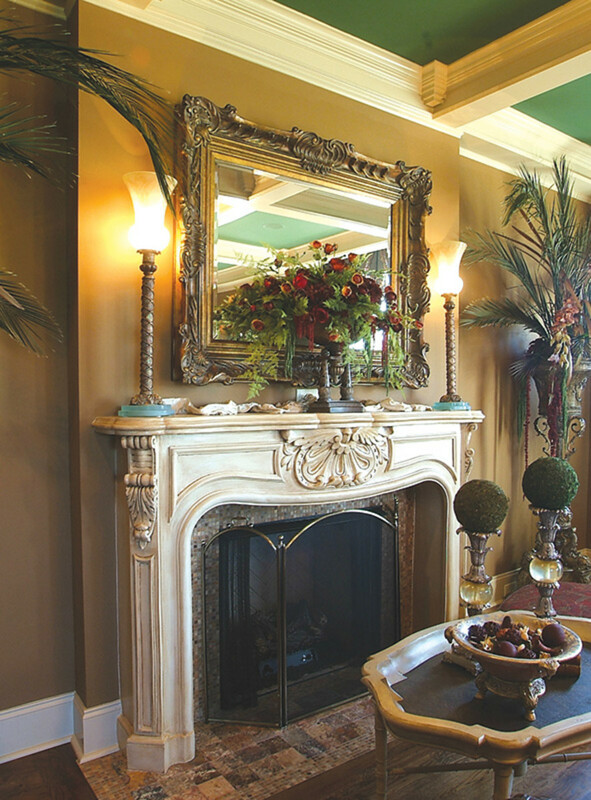 The mantels Design the Space offers are primarily reproduction pieces. To keep costs and weight down to a minimum, the materials used are not actual stone or marble. The marble is crushed and molded and the stone is actually cast stone. They offer several types of wood – paint-grade poplar, red oak, maple, cherry, mahogany, walnut and hickory (all are FSC-certified). The company has a real commitment to sustainability and green practices. All materials come from renewable sources, and when able to, the company uses recycled material to package products for shipping. “Once a stock wooden mantel is ordered, a customer could receive it within seven days – or two to three weeks if it is cast stone,” says McIntyre. The manufacturing facilities also employ solar and wind power to minimize energy consumption. Another trend McIntyre sees is the request for overmantels with crossetted frames, but instead of a priceless artwork or vintage mirror taking center stage, he is seeing flatscreen televisions in their place. 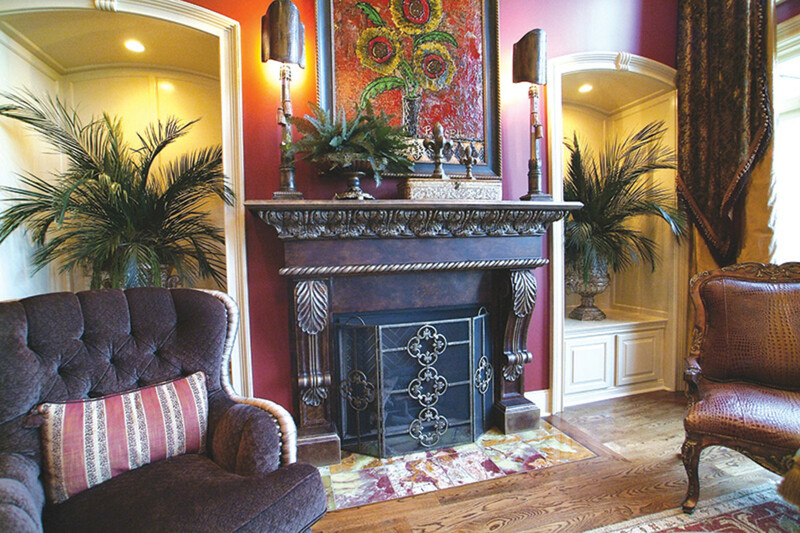 Cast Designs & Supply in Auburntown, TN, makes gypsum-based moldings and mantelpieces reinforced with hemp, which sets this product apart as green. Gypsum is organic, plentiful and non-combustible, and hemp fibers are incredibly durable. Because it was used in sails and rope, it was a staple crop in the American Colonies. It is also a renewable product, replanted and harvested two to three times a year. Owner Tim Slicker explains that the company’s products are also LEED-certified in the category of new construction. The certification comes through the company’s use of regional materials, rapidly renewable resources and low-emitting materials, paints and coatings. The product also gains credits for replacing the use of wood. 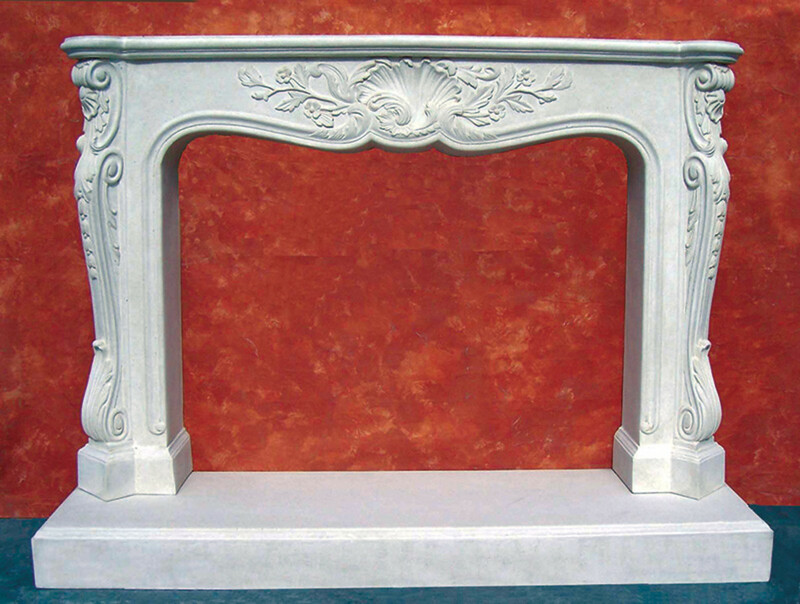 The company offers mantels of cast stone, which gives the appearance of sandstone. “We do a lot of semi-custom mantels using calalog components – this keeps cost down because we won’t have to create a new mold,” says Slicker. When it comes to color, Cast Design & Supply is most often color matching the cast stone. Many of the company’s jobs are small custom projects. “We are able to provide a 3-D rendering of what the product will look like and can produce shop drawings for clients,” says Slicker. Another trend in the marketplace is elaborate outdoor living spaces outfitted with a fireplace. “We’re casting these items in concrete, which stands up to the elements,” says Scomazzon. Slicker agrees that the trend for mantels has definitely turned to the outdoors. He has also introduced a cement-based cast limestone to create fireplaces for exterior use. A&M just shipped a massive fireplace for a pool and patio space in Southern California. 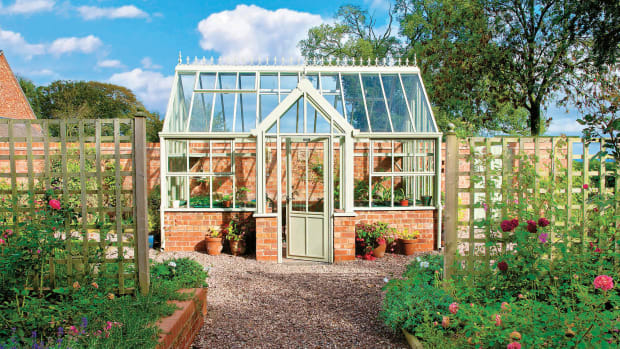 Glass houses—conservatories, greenhouses, and orangeries—introduced into the garden provide beauty and practicality in traditional design.